While trends come and go, personalization, multigenerational and wellness are a few we see consistently having an impact on the river cruise industry. And what do you know—AmaWaterways leaves their mark on every single one of them. Anticipating the demand for a more personalized luxury experience, AmaWaterways announced their newest ship, the AmaMagna, will debut in May 2019. Twice the width of traditional river ships, AmaMagna will offer 196 guests the luxury of more space and more ways to personalize their river cruise experience. Four unique dining venues—The Main Restaurant, The Chef’s Table, Jimmy’s Wine Bar Restaurant and the Al Fresco Restaurant—have taken the culinary experience to new heights. The expansive Sun Deck—with large swimming pool, barbecue area and first-ever pop-up elevator—make this one-of-a-kind ship very appealing to guests looking for the luxury of space and choices. With the continued demand for family-friendly options, multigenerational travel continues to be an area of focus for cruise lines. AmaWaterways always welcomes families on board (for safety reasons, children must be 4 years of age or older on our European ships). Families appreciate the wide choice of tours offered that meet the needs of all three generations. Shore excursions are conducted in small groups and bike tours really appeal to younger family members. Many travelers consider daily exercise a part of their routine. The first in the river cruising industry to offer bicycles on board in 2006, AmaWaterways continues its leadership in active cruising through the introduction of Wellness Hosts, who teach morning and afternoon group classes in stretching, cardio/core strengthening and resistance band workouts. 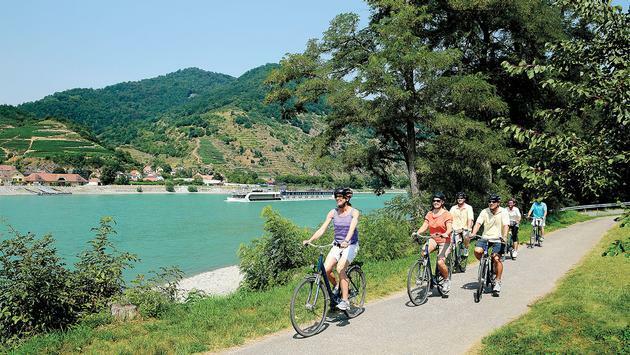 AmaWaterways offers a minimum of three biking and two hiking tours on most European itineraries and continues to increase these options. Wellness activities were rolled out on six ships in 2018 and will be offered almost fleet-wide in 2019. For more information on AmaWaterways and their wide array of activities appealing to travelers of every type, visit their blog page here. Award-winning AmaWaterways, known for their pioneering spirit, commitment to excellence and impeccable service, leads the way in innovative river cruising.